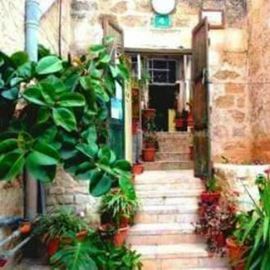 Located in the old city of Nazareth, the Fauzi Azar Inn is a 200-year-old Arab mansion. 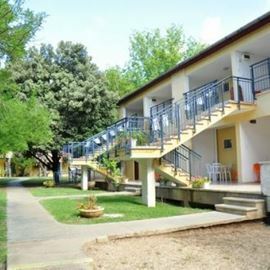 It offers dorms and guest rooms in a unique and charming old-world atmosphere. WiFi is available free of charge. The property is located in the Souk area, just a 1-minute walk from the vegetable market and a few minutes from excellent restaurants and coffee shops. The Basilica of the Annunciation is 500 m away. 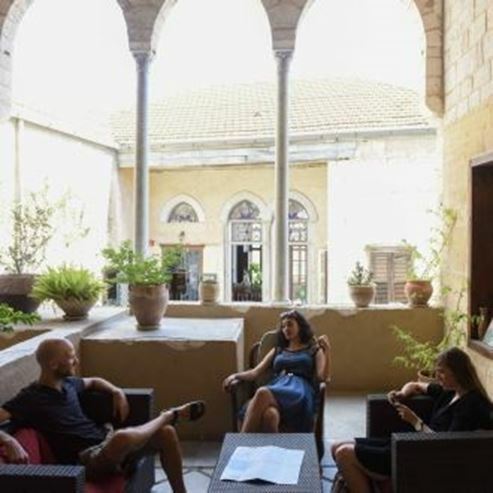 The Inn is a 3-storey stone building from the 18th century with high hand-painted ceiling, a Turkish marble floor, a magnificent hall with panoramic views, and a courtyard decorated with stone arches. A varied buffet breakfast is served daily.